I thought it was about time we talked about Jupiter. 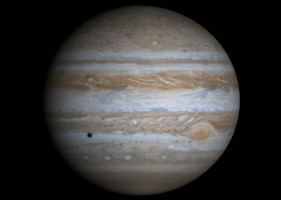 Jupiter is, after all, the biggest planet in our Solar System. In fact, it’s almost big enough to be a star! Let’s explore some facts about Jupiter. On average, it is the third brightest object in the night sky – can you guess the two brightest? so is it the king of the planets?